PLEASE NOTE THE ROOM CHANGE FOR THIS LECTURE ONLY!!!! In a project area encompassing nearly 100 m2 on the right (north) bank of the Nile River west of Abu Hamed, Sudan, the Bioarchaeology of Nubia Expedition has documented sites ranging back to the Early Stone Age (>250,000 years ago) with more intensive use in the Middle Stone Age. The focus of fieldwork has been on habitation, rock art/gong, and cemetery sites dating from the Mesolithic to Christian periods in the eastern portion of the concession. Using a combination of 2- and 3-dimensional historic and modern remote sensing data combined with in-field survey and excavation, we examine topographic prominence, intervisibility, and other spatial and contextual relationships between archaeological sites and the natural environment. This research spans different periods and different types of sites, from relationships among clusters of Kerma period graves in one area to analysis of Meroitic fortifications and their viewsheds within a broader region. This work helps us understand interconnected components in the region as part of a larger cultural dynamic with complex relationships to people and the environment in the past and present. Relationships between this “hinterland” and core areas of state-level societies are also of interest. 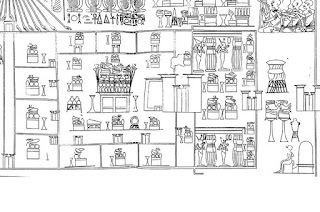 Grave architecture and treatment of the dead show variable local practices but inclusion of imported grave goods show integration into far-flung trade networks from the Kerma (c. 2500-1500 BC) through Christian (c. AD 550-1400) periods. 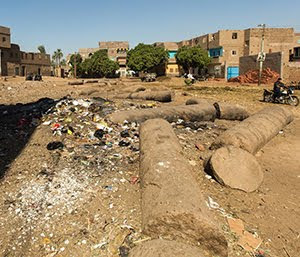 Persistence of local traditions, spatial and social organization of cemeteries, and distinct identities marked in life (e.g., dental avulsion) or death (e.g., interment with archery equipment) illuminate new aspects of ancient Nubian mortuary behavior and identity. Additionally, indicators of diet and disease in the skeletons provide insight into shifting patterns of subsistence and life histories of individuals over time. Dr. Brenda Baker is a core faculty member of the Center for Bioarchaeological Research and Head of the Bioarchaeology approach (subfield) since 2012. Dr. Baker taught previously at Tufts University (1992) and Minnesota State University Moorhead (1993-94), and was Director of the Repatriation Program and Curator of Human Osteology at the New York State Museum from 1994-1998. She is the founding co-editor of the new journal, Bioarchaeology International. She has served on the Executive Committee of the American Association of Physical Anthropologists (2012-2015), as an Associate Editor of the International Journal of Paleopathology (2010-2015), and is a founding Steering Committee member of the Western Bioarchaeology Group (2012-present). Her teaching includes upper-division undergraduate courses on the Global History of Health, Life and Death in Ancient Egypt, Bioarchaeology, undergraduate and graduate courses in human osteology, and graduate courses in paleopathology and The Bioarchaeology of Children and Childhood. Dr. Baker’s research encompasses bioarchaeology, mortuary archaeology, human osteology, and paleopathology, emphasizing the investigation of human skeletal remains within their archaeological contexts to reconstruct past lifeways and the health status of ancient people. 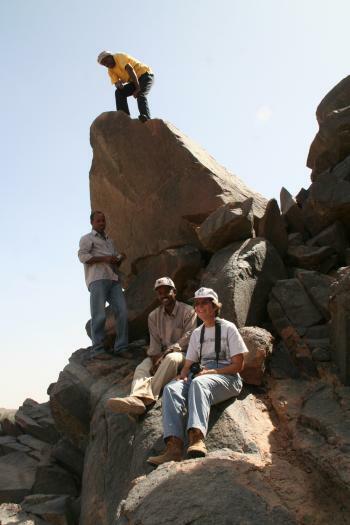 She directs the Bioarchaeology of Nubia Expedition (BONE) in northern Sudan, currently funded with a multi-year grant of $1.18 million from the Qatar-Sudan Archaeological Project. She has also received grants from the Institute for Bioarchaeology, National Science Foundation, Packard Humanities Institute, and the Wenner-Gren Foundation for Anthropological Research. She has been the bioarchaeologist for the University of Pennsylvania Museum-Yale University-Institute of Fine Arts, New York University Expedition to Abydos (since 1988) conducting burial excavation and analysis of human remains from both cemetery and settlement contexts at this important ancient Egyptian site. She is also the bioarchaeologist for Princeton University's expedition at Polis, Cyprus ( since 2005), where she has focused on burials from two medieval basilicas. This catalog features rare, antique and decorative books as well as select additions of ephemera, artwork and collectibles. We are pleased to announce our first session from the holdings of Archaeologia Books and Prints. 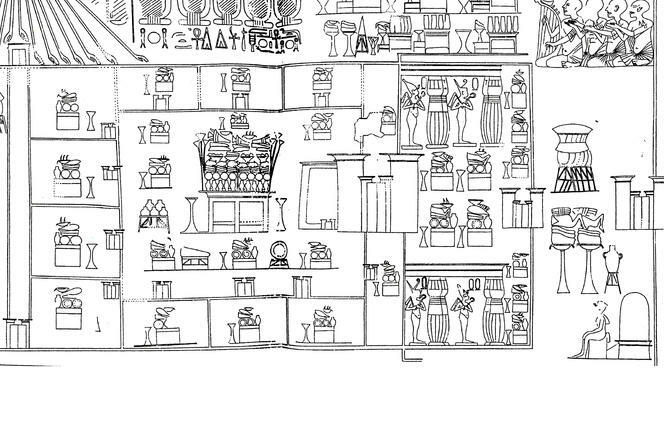 Established in 1983, Archaeologia was known for providing scholarly books of quality on the archaeology of Ancient Egypt, the Near East, Greece & Rome, and the Pre-Columbian Americas. We will offer several sessions from this fine inventory over the coming months. This catalog also includes many offerings of ephemera as well as original artwork, ranging from antique to modern. Antique and rare books in this catalog feature numerous titles. Among the earliest examples are the 1788 first edition of Walpole's "Prints Engraved after the Most Capital Paintings in the Collection of the Empress of Russia," produced in two folio volumes, the 1686 printing of Horneck's "The Happy Ascetick," and Guthrie's "New Geographical Historical and Commercial Grammar," printed in 1795 with folding engraved maps. Other scarce titles include the 1844 first edition of Johnston's "Travels in Southern Abyssinia," produced in two volumes with lithographs and retaining the original folding map, an author-signed copy of the 1938 first printing of Brasol's "Oscar Wilde the Man, the Artist, the Martyr," accompanied by a personal note signed by Wilde, and Sanderson & Waln's "Biography of the Signers to the Declaration of Independence," produced in nine volumes over the years 1820 to 1827. Several pleasing collections will also be showcased. Highlighted is this first session from the holdings of Archaeologia which is led by specimens such as a volume from the landmark work by Roberts, Brockedon & Croly, "The Holy Land, Syria, Idumea, Egypt & Nubia," printed c1855 with striking tinted lithograph plates and maps and housed in a decorative leather binding, the limited edition of Pernier & Banti's "Il Palazzo Minoico di Festos," printed in two volumes with photographic plates and illustrations, and many archaeological reports from important individual excavation sites. Additional lots include scarce titles from categories such as nautical, modern first's, Americana, Civil War, railroads, decorative antique bindings, Native American Indians, the American West, military history, and much more. Found throughout this catalog are interesting offerings of ephemera, art and collectibles. Original artwork includes antique examples and modern pieces such as two original drawings by David W. Mack ("Kabuki" creator). Several impressive groupings of antique photographs will be offered including subjects such as China, the Philippines, Henry Ford's staged camping trips with Thomas Edison and others, railroads, as well as a very rare photograph of the original Drake oil well. Antique ephemera lots include travel-related, original Beatles trading cards, catalogs, advertising, New York City, Judaica, tobacciana, alcohol, pharmaceuticals, postcards, photographs, chromolithographs (prints, books, postcards, trade cards, etc. 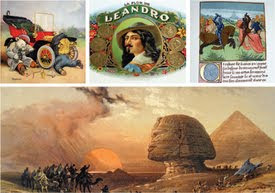 ), designer bookplates, billheads, engravings, railroad, magazines, comics and much more. By THE ASSOCIATED PRESS APRIL 28, 2016, 2:24 A.M. E.D.T. EASTERN DESERT, Egypt — Off the off-road tracks deep in Egypt's eastern desert, prospectors are ramping up the hunt for the treasure once revered by the Pharaohs as the "skin of the gods" — gold. Essential for ancient artifacts like the famed burial mask of Tutankhamun and still highly desired in Middle Eastern culture today, gold has been mined in Egypt for millennia. 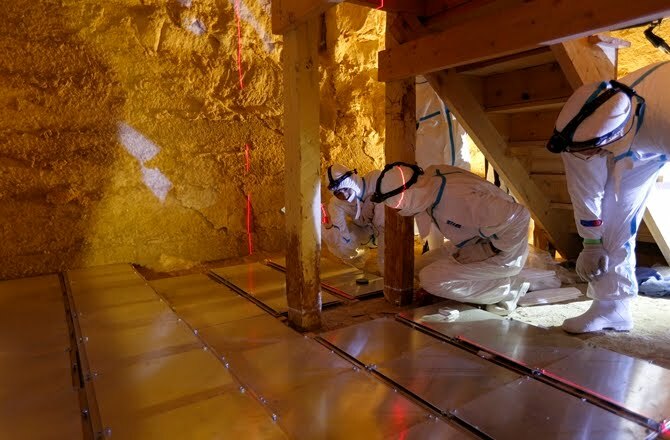 But experts say the country is heavily underexplored and that modern technology now allows much deeper excavation of the ancient sites shown on Pharaonic treasure maps. If developed, gold and mineral mining could prove a boon to the country at a time it is desperate for foreign currency, and provide jobs for its burgeoning population of 90 million. But miners and experts say current legislation is out of step with global practices and doesn't give enough incentives to bring in foreign investment. "Mining has been going on here for over 5,000 years, but in the 21st century it's essentially virgin ground," said Mark Campbell, president of the Canadian exploration company Alexander Nubia, which is increasing its drilling this year in a 1,070-square mile area in the desert. "Exploring for gold and minerals in Egypt today with modern technology is like having a map where X marks the spot." The group has identified six potential mines in the area, filled with barren valleys and pink rock outcroppings known as the Arabian-Nubian Shield, which stretches south to Eritrea and east to Saudi Arabia. While veins close to the surface have been largely excavated by successive Pharaonic, Roman and even British colonial operations, the sites still hold gold concentrations deeper down that nowadays can be extracted with heavy machinery. At the moment, Campbell's team is drilling core samples that are sent off for analysis in Romania. The gold can't always be seen by the naked eye, with concentrations of only a few grams per ton of dense, mineral-filled ore. But it's promising enough for the team of two dozen explorers and specialists to have undertaken plans to open Egypt's first new mine by 2019. One former British colonial-era mine in the area, known as Abu Zawal, was abandoned in the mid-20th century after nationalist strongman President Gamal Abdel Nasser chased away foreigners and ended decades of laissez-faire capitalism in the Arab world's most populous country. The British also had been following in the tracks of the ancients — the site is still littered with Roman pottery fragments, an ancient fort and water well, as well as Pharaonic grinding stones that lie scattered alongside turn-of-the-century spent rifle cartridges. But the mining sector today remains largely dormant, a victim of outdated policies, experts said. Despite some reforms that went into effect last year amid government promises to create more favorable investment laws, Egypt's mining legislation still falls short of international standards, and attempts by the government to attract foreign investment have largely failed. "No one wants to deal with the profit-sharing structure," said Yousef Husseini, an analyst at Egyptian bank EFG Hermes who follows the mining sector. "The ideal setup would be royalty and taxes as opposed to royalty and profit share, as is currently the case," he said, referring to the current system where mining companies in Egypt must pay at least half of their profits to the state in addition to royalties paid annually based on sales figures. In most other countries, taxes levied on companies in the mining sector range from 25 to 50 percent. Mark Tyler, an investment banker with Nedbank in London, agrees that the current split of profits demanded by Egypt is out of step with global practices. Mines are both expensive to build and to operate throughout their lifespans, unlike oil and gas discoveries that run relatively cheaply after the initial investments. "There's a long history of small-scale mining in Egypt. Generally that's a good indication there are minerals in the area," Tyler said. "But those rules are pretty harsh. Typically you have royalties and taxes and some type of state shareholding in the company, like is often the case in West Africa and the rest of the world." The exception is the Sukari mine, Egypt's only modern mining operation, which has consistently increased its profits in recent years. Built over another ancient gold mining site further to the south, the company that runs it, Centamin, has seen its share price grow by over 60 percent since the beginning of the year, buoyed by rising gold prices and a 15.7 percent increase in production in the first quarter compared to last year. The company has a special deal that was approved by parliament during the rule of Hosni Mubarak, Egypt's long-time strongman who was ousted in a popular uprising in 2011. Its success was briefly halted the following year, when the country was under the rule of the elected but divisive Islamist, Mohammed Morsi, and a court decreed that Centamin's right to operate Sukari was invalid. But since general-turned-president Abdel-Fattah el-Sissi led Morsi's overthrow in 2013, promising a business-friendly government that would protect and streamline investments, Centamin has regained confidence. Its license was upheld briefly before Morsi's ouster, although the case is still facing appeal with a decision due in late May. The company believes it is in a good position, given more recent legislation that bolsters property rights. Under el-Sissi, the government has talked of creating a "Golden Triangle" of development in the area, one of its favored "mega projects" to spark the fast economic growth needed to provide jobs. But like investment law reforms announced in 2015, that plan has so far fallen short, with investors still regularly complaining of endless red tape when doing business in Egypt. Still, the players involved in mining today are decidedly upbeat. Both Campbell and Centamin's chairman, Josef El-Raghy, envision a future where new mines could sprout up all over Egypt. "If there were more favorable legislation, there'd be dozens of companies all around the area," said geologist Leonard Karr, an American with Campbell's company who has worked for 36 years in the industry, as he enthusiastically pointed out rock formations during a jeep tour of the area. As Campbell, who has overseen mining and oil drilling in a dozen or more countries over the years, put it: "Egypt is a geological Disneyland." The world has long been agog to know all it can about Egypt's legendary Queen Nefertiti. For starters: Where's her body?! 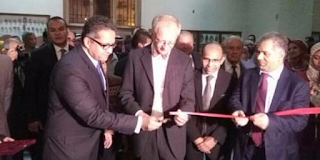 According to the researchers, who presented their results in Cairo on Tuesday to Khaled El-Enany, minister of Antiquities and the former minister Mamdouh El-Damaty, the outcome was “excellent” as it showed the inside of the monument as with an X-ray. 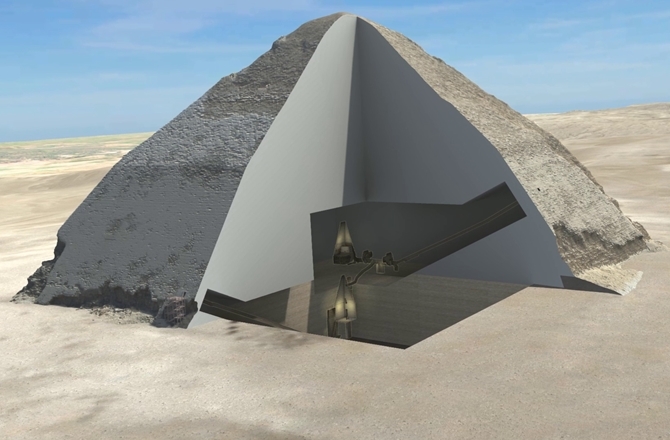 This is the first of four pyramids to be investigated within the ScanPyramids, a project carried out by a team from Cairo University’s Faculty of Engineering and the Paris-based non-profit organization Heritage, Innovation and Preservation under the authority of the Egyptian Ministry of Antiquities. 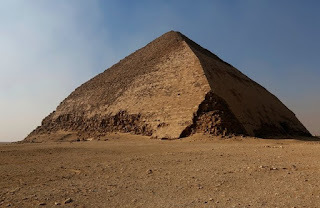 The others are the Great Pyramid, Khafre or Chephren at Giza, and the Red pyramid at Dahshur. 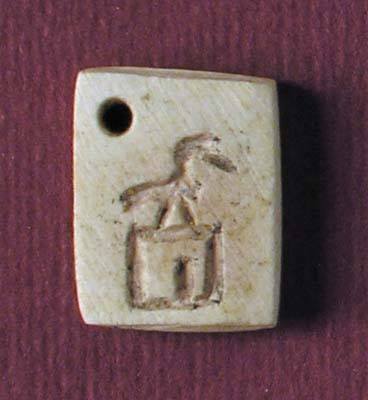 “Nevertheless, this is indeed a scientific breakthrough as it validates the muography principle applied to Egyptian pyramids. It paves the way to new investigations,” said Mehdi Tayoubi, co-director of the ScanPyramids mission with Hany Helal, professor at Cairo University’s Faculty of Engineering and former minister of research and higher education. 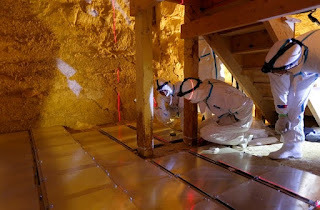 Covering a surface of about 10 square feet in the pyramid’s lower chamber, the plates contained two emulsion films that are sensitive to muons that continually shower the Earth’s surface. They come from the upper layers of Earth’s atmosphere, where they're created from collisions between cosmic rays and the nuclei of atoms in the atmosphere. “Just like X-rays pass through our bodies allowing us to visualize our skeleton, these elementary particles, weighing around 200 times more than electrons, can very easily pass through any structure, even large and thick rocks, such as mountains,” Tayoubi said. 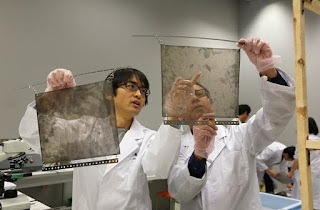 “From these plates, more than 10 millions of muon tracks were analyzed. 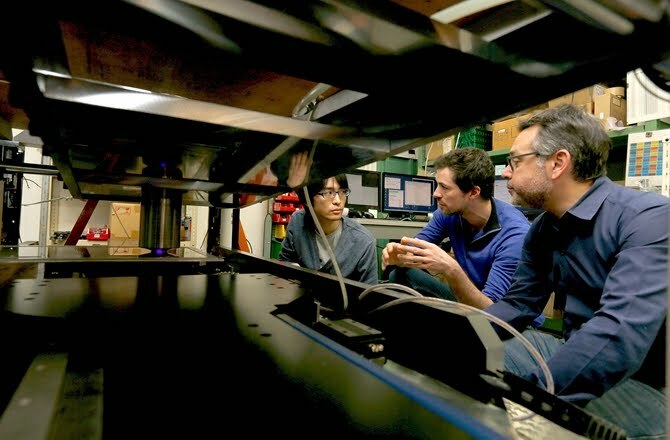 We count the muons and according to their angular distribution we are able to reconstruct an image,” Tayoubi said. 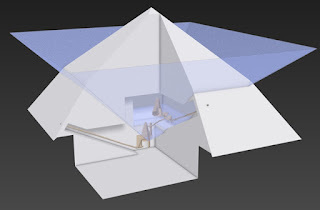 “For the first time ever, the internal structure of a pyramid was revealed with muon particles. The images obtained clearly show the second chamber of the pyramid located roughly 60 feet above the lower one in which emulsions plates were installed,” he added. “We learn a lot from the reality of the field. We improve the knowledge of the monuments but we also improve the technologies progressively. We are not in a hurry,” he said. 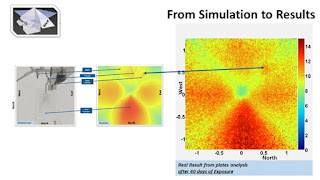 “Compared with the results obtained, these simulations could validate the fact there is no additional chamber of this size in the surroundings,” professor Morishima said. “Contrary to the emulsions, they have lower resolution but no limit in exposure time and further allow for real time analysis,” Tayoubi said. 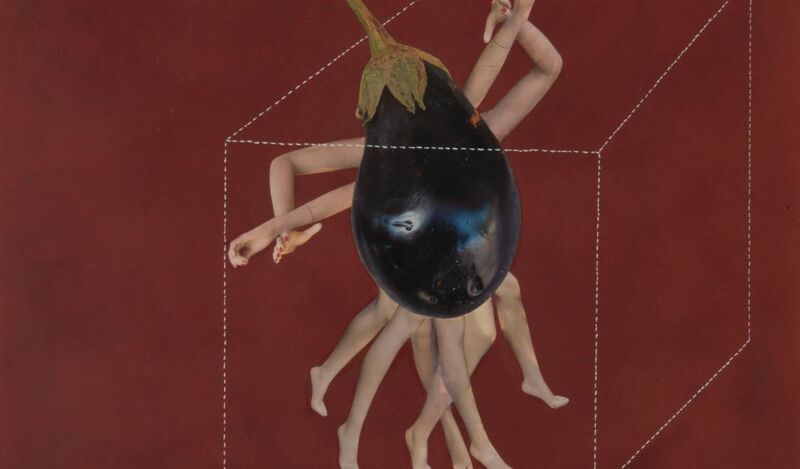 Perhaps best known for her found object sculptures that use objects from perfume bottles and bottles to critique gender stereotypes, the majority of the work in “Magnetic Bodies,” which comes to Dubai from Cairo, consists of photocollages, full of images that could only come from an artist like Lutfi, educated as a cultural feminist historian.In works like “Inside the Box,” 2015, a mixed media piece featuring a multi-limbed eggplant within a Francis Bacon-like cube, Lutfi combines the often hilarious feminist photocollaging of artists like Hannah Höch or Linder Sterling with a modern sensibility influenced by contemporary sexual politics and even emojis. In addition to these works, the most prominent in the exhibition are the artist’s photocollage portrait of her hometown, Cairo. In this work, “The City Goes Pop,” 2015, the artist represents Cairo as she sees it, combining her own photography with images past and present from the city and its artistic heritage. The result are dense, layered portraits that provide a unique viewpoint of the Egyptian capital. Although these images do connect to Lutfi’s past work, with images of mannequins continuing to appear in her work as they have over the past decade, a new drive towards documentary is prominent in the artist’s work since the Egyptian Revolution in 2011. Perhaps this was because the city (and the country in general) became itself more like a photocollage, with the history of the country being written or pasted over with a new history. Speculations aside, Lutfi’s work here provides the artist’s unique view of the city. “Huda Lutfi: Magnetic Bodies” runs through June 4 at The Third Line. The provenance of the Nag Hammadi Codices has been a point of contention among scholars ever since they were discovered in Upper Egypt in 1945. A new book strongly supports the hypothesis that they were manufactured and read by Christian monks in the fourth and fifth centuries. 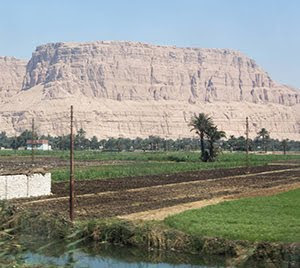 For centuries the mysterious Nag Hammadi Codices lay buried and forgotten under a cliff in rural Egypt until a local famer found them in 1945, close to the Upper Egyptian town of Nag Hammadi. The 13 papyrus books (codices) turned out to contain gospels, apocalypses, prayers, liturgical writings and acts of various apostles, none of which were included in the Bible. It also includes observations and commentaries on topics such as the meaning of existence, the creation of humankind and the nature of salvation. Since their discovery these works have provoked enormous interest amongst scholars and the public alike due to the startling new light they throw on the early Christian movement. Professor Hugo Lundhaug at the Faculty of Theology at the University of Oslo leads a research project funded by the European Research Council that focuses on these codices. The project is called “New Contexts for Old Texts: Unorthodox Texts and Monastic Manuscript Culture in Fourth- and Fifth-Century Egypt” (NEWCONT). Lundhaug tells us that the ideas found in the Nag Hammadi Codices are often very different from those familiar to us in the Bible. ”These codices demonstrate that a far greater diversity of thought existed amongst people who considered themselves Christian than we previously thought,” Lundhaug explains. The Codices are written in Coptic, a form of the Egyptian language used in the late antique period. 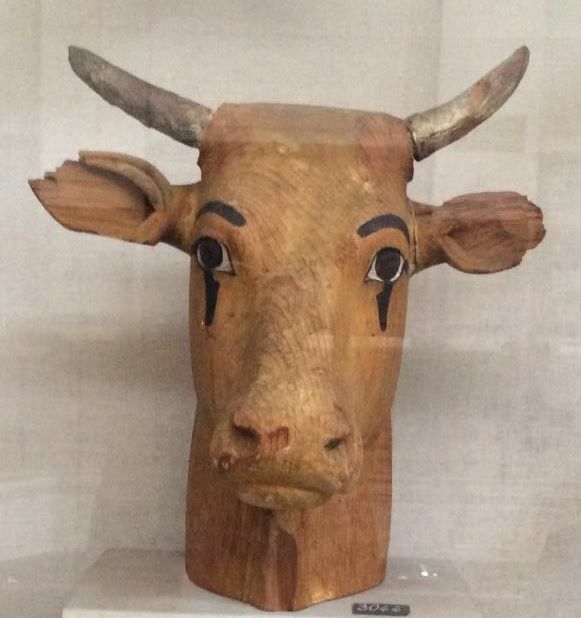 They contain 52 works, most of which were previously unknown to modern scholars. It is probable, although not certain, that most of the texts were originally written in Greek and have been translated into Coptic for the benefit for non-Greek readers. The question of who owned and produced the Nag Hammadi Codices is of major importance in helping us to understand their historical significance. In order to understand what they may have meant to those who read them, it is important to know who actually read them. Together with post-doctoral fellow in the NEWCONT-project Lance Jenott, Lundhaug has just published a book dealing with this question, entitled The Monastic Origins of the Nag Hammadi Codices. Lundhaug and Jenott answer the question in their new book by thoroughly exploring the issues surrounding the discovery of the codices, their material aspects, and their status as fourth- and fifth-century books of Christian literature. ”We both felt the need to examine the evidence more closely from as many angles as possible, and to assess the various alternatives”, Lundhaug states. For him and Jenott this assessment has left them in no doubt that the Nag Hammadi Codices originate from and were read by Christian monks. In earlier attempts to answer the question of ownership, the controversial contents of the codices have led many scholars to insist that they had belonged to a group of ‘Gnostics.’ The term ‘Gnostic’ was generally applied in reference to exclusive communities, influenced by Greek philosophy, whose members desired access to secret knowledge that was revealed only to a certain elect few. As such, the codices thus become marked out as ‘heretical’ books that should not have been read by orthodox Christians, such as the early Christian monks. This point of view is well reflected in the title of the first book on the subject of the Nag Hammadi Codices, Jean Doresse’s The Secret Books of the Egyptian Gnostics. 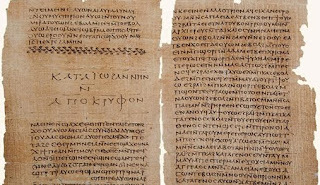 ”The wide diversity of texts found in the Nag Hammadi Codices make it difficult to allocate these works to any one of the several viewpoints commonly given the scholarly label ‘Gnostic,’ ” Lundhaug says. ”The texts do not readily conform to common stereotypical ideas of ‘Gnostic’ attitudes, such as a ‘hatred of the world and its creator,’ or an ‘anti-biblical’ stance”, he explains. Lundhaug and Jenott find ‘Gnosticism’ to be a highly misleading category that has led scholars to ask the wrong questions and to offer unnecessary explanations. 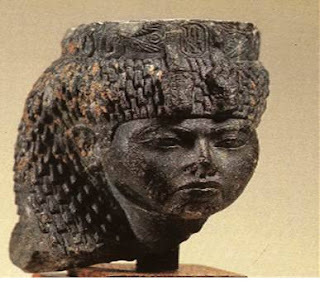 Their focus instead has been on the diversity of early Christianity in Egypt and the place of the Nag Hammadi Codices within it. They emphasise the fact that their aim has been to move the discussion of the origin and use of the codices away from being a study of Gnosticism. They have therefore consciously jettisoned the term ‘Gnostic’ in their analysis. That idea the Nag Hammadi Codices may have belonged to Egyptian monks was suggested by some of the scholars who first studied the codices. They noted in particular the existence of several monasteries in the area close to the discovery site, such as the major Pachomian monasteries at Chenoboskion and Pbow. This criticism was most extensively expressed by Alexandr Khosroyev in 1995, who emphasized what he regarded to be the “philosophical” and “anti-biblical” contents of the Nag Hammadi texts. He argued that they must have belonged to a group of urban intellectuals sufficiently educated in Greek philosophy to read and understand them. His work was highly influential in ensuring that the idea of a monastic origin for the books largely fell out of favour. “If the owners were urban intellectuals steeped in Greek philosophy and culture, why would they read their literary texts in Coptic and bother to translate them from Greek in the first place? Why not simply read the texts in Greek?” Lundhaug and Jenott ask in their book. While Khosroyev suggested that urban intellectuals may have felt compelled to translate the texts into Coptic at a time when they were losing their ability to read Greek, Lundhaug and Jenott maintain that the texts were most likely translated into Coptic for the benefit of a monastic community which would have included a number of non-Greek readers. Lundhaug and Jenott make their case for a monastic origin by surveying a wide breadth of material and discussing the question from a multitude of angles. They set the stage with a discussion of the nature of monasticism in late antique Upper Egypt. Using a variety of sources, including biographies of saints, monastic rules, documentary papyri and archaeological evidence, they demonstrate that monasticism at this period was more diverse than has often been often recognised, both in terms of organization and theology. They also discuss the available evidence for the literary practices of Egyptian monks in the early centuries. ”The reading material of monks at that time cannot always be labelled as ‘orthodox’” Lundhaug argues. ”Monks were criticised on several occasions by Church authorities for reading non-canonical or apocryphal literature. Despite this condemnation, such works continued to form part of monastic libraries for many centuries to come”, he explains. Lundhaug and Jenott also note how many of the themes that appear in the texts of the Nag Hammadi Codices would have appealed to monks. They include allusions to subjects such as spiritual progress, revealed knowledge, visions, heavenly ascents, angels, demons, and asceticism, as well as an emphasis on scriptural interpretation. It is easy to see then how they might fit into a monastic library alongside biblical texts and other, well-known, monastic works of the period. Lundhaug and Jenott pay particular attention to the “cartonnage” material used to stiffen the leather covers of the Nag Hammadi Codices. Cartonnage was traditionally made up of scraps of discarded papyrus from personal letters, account books, and so on. It therefore provides invaluable evidence for everyday life and the social context in which the codices were produced. In the case of the Nag Hammadi Codices, these cartonnage papyri include an entire collection of personal letters written to and from monks, strongly suggesting that the codices themselves were produced by monks. These documents include several references to a monk named Sansnos who writes about economic and philanthropic issues with his correspondents. Some scholars have, however, dismissed these fragments as irrelevant, arguing instead that such letters might have been simply collected from a local rubbish heap, and therefore shed no light on the book-makers. Lundhaug and Jenott argue for the likelihood that these documents were in fact the property of the people who made the codices and, as such, are valuable evidence for pinpointing the origin of these books. One highly significant letter is in fact addressed to a certain ‘Father Pachomius,’ whom Lundhaug and Jenott maintain is the famous abbot Pachomius himself. If so, then this letter demonstrates a close connection between the makers of the codices and the nearby Pachomian monks. In the book, the authors further discuss which type of monastic group may have owned the codices. A variety of monastic groups existed at this period who did not share the same theological beliefs. However, it is to the Pachomian Federation in particular to which the authors turn for answers. As several of these Pachomian monasteries lay close to the place of discovery, and used the cliffs for burials and ascetic practices, it is not unlikely that the owners of these codices were Pachomians. Lundhaug an Jenott emphasise diversity within the Pachomian community. “There is evidence for ongoing concerns over apocryphal books read in the monasteries, and the Pachomians placed great emphasis upon literacy and biblical interpretation”, Lundhaug explains. The monks need not have believed everything they read, but many of them would surely have been interested in the various interpretations of the Bible, for example stories about Adam and Eve, and Jesus appearing to his disciples after his resurrection, which are recorded in these books. ”Very often, an overly idealised picture of monasticism has obscured our ability to place Egyptian monks accurately within their own society. In addition, the over-application of the term ‘Gnostic’ has helped to create a distance between the texts and the seemingly ‘orthodox’ monks of traditional scholarship”, Lundhaug sums up. “It is important to remember that the monks who may have read these works for spiritual guidance were also likely to have had recourse to many other religious works within their libraries, including the books of the Bible . In time, as Christian thought developed, the reading of such unusual texts would have become less acceptable until finally the command came to discard them completely”. The authors express their hope that their book will act as a catalyst for further research into the codices as a part of the monastic culture of Upper Egypt. “In many ways, research into these fascinating manuscripts have only just begun,” they state, and emphasize how important it is that future studies of the Nag Hammadi texts take fully into account the monastic provenance of the manuscripts, while studies of early Egyptian monasticism should not continue to ignore the Nag Hammadi Codices, some of the earliest and most well-preserved evidence of monastic literary practices in existence. Academia.edu - Top papers from my newsfeed.